#TheNewMiami – a phrase that appears to be doing the rounds on social media, but might this catchy hashtag be more than just something to boost the amount of Retweets or likes on Instagram? From what the Miami Dolphins have done so far in Free Agency, it looks very much like the organisation and franchise is heading into new uncharted water. The sign that a franchise is in-decline or dysfunctional is an exodus of own talented in free agency. This is normally guys that have been drafted or traded for/ signed with a long-term view. In 2016, the Dolphins lost RB Lamar Miller, DE Olivier Vernon and WR Rishard Matthews – all starters and productive players for Miami. In 2015 it was TE Charles Clay and DE Jared Odrick. In 2013 it was OT Jake Long and CB Sean Smith. And so on. However, prior to the start of this offseason, the Dolphins front office made it clear that they were placing a priority on retaining their own guys and keeping talent inside the building, before looking to bring it in from elsewhere. So far Miami has been extremely successful in this regard and have also brought in quality pieces to help complement Miami’s strengths and address their weaknesses. The re-signing of Kenny Stills was important for the Miami Dolphins. Since bein taken 8th overall in 2012, QB Ryan Tannehill has struggled to build a connection and trust with his receivers. Mike Wallace was brought in for big money to be a deep threat, however, he and Tannehill never hit off and the pair routinely struggled to connect on deep balls. This past season was arguably Tannehill’s best in terms of down field passing. He often risked Safeties or Corners making a play on the ball, as he trusted his receivers to be in position and make plays. Stills thrived under Adam Gase’s first season as Head Coach catching 42 passes for 726 yards and leading the team with 9 TDs. At 24 years old, the Dolphins will get Stills’ best years and his skillset is a key component of any Offense – a speedster who forces Safeties to remain deep, thus opening up everything inside and outside the numbers. 4 years, $31.9m with $19.95m guaranteed makes him the 22nd highest paid WR in 2017 (per year). If Stills can develop in his second year under Gase, there is no reason why the Dolphins could not expect 50+ catches, 850+ yards and 7TDs+, while opening up the rest of the field for Miami’s other receivers. With Andre Branch, the Dolphins again paid a hefty price to keep their own players in the building. Branch signed a 3 year, $24m deal with $16.8m guaranteed. He had previously signed a 1 year prove it deal with Miami after spending 4 lack luster years in Jacksonville. 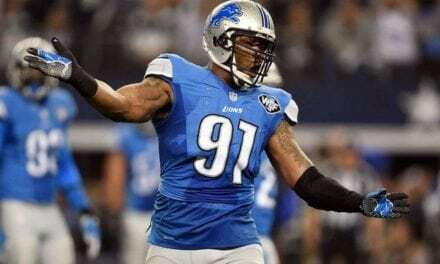 Branch is the 17th highest paid DE – just behind Cam Wake and Everson Griffen; and ahead of Carlos Dunlap and Mario Addison. Branch struggled against the run in 2016 (which Miami addressed – see later), yet proved himself to be an able pass rusher. Branch was 30th in the NFL with 20 QB hurries (only 4 behind 15th placed Wake) and managed 5.5 sacks in just 11 starts. With better coverage in the back-end, it is easily foreseeable that Branch could put up double digit sack totals for each of the next 3 seasons. 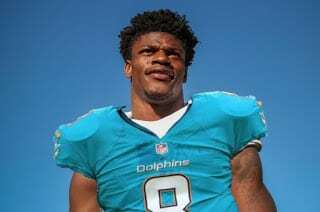 These first two re-signings are the Dolphins taking a gamble on young talented football players and hoping that they can develop into quality future starters. These next three re-signings represent the Dolphins locking up valuable veterans for the remainder of their careers and rewarding valuable members and leaders of the Miami Dolphins. John Denney is something of a cult hero in Miami, not missing a game in his 12 year career. Denney’s brilliance is the fact that you don’t notice his presence. Miami kicking late Field Goals with the time expiring late in the 2016 season to get into the Playoffs… All eyes on Kicker Andrew Franks… No-one even contemplated whether the snap would reach him or not… John Denney has been automatic for 12 years in Miami. Cameron Wake is one of the greatest Defensive Players in Miami Dolphins history. He defied age and science in 2016, bouncing back from an Achilles injury and forcing his way into the starting line up after initially being deployed as a situational pass rusher. Wake clocked 11.5 sacks and his first career INT in 2016, and did not look a step slower despite turning 35 in January. Wake signed a 2 year, $16.125m contract with $10.875m guaranteed, keeping the veteran leader in South Beach. Reshad Jones is one of the best Safeties in football. He’s been as productive as any at the position over the past three seasons. Jones was enjoying another Pro-Bowl worthy campaign before tearing his rotary cuff and being placed on IR. The Dolphins signed Jones to a 5 year, $60m contract extension with $35m guaranteed. Jones will be 34 by the time the deal runs out and like Wake and Denney – the Dolphins are rewarding faithful servants with contracts that should run late into their careers. Jones is the best Safety in football in the box and is one of the few existing Dolphins who excels in Run D.
The Miami Dolphins have also looked to lock up value contributors and productive players through the tender process. Linebacker Kiko Alonso, Safety Michael Thomas and RB Damien Williams have all been tendered as restricted free agents. The Dolphins have taken a balanced approach to free agency so far. No big splash signings like we are used to from Miami and from Mike Tannenbaum. Rather, the Dolphins have looked to improve the areas they were successful in, in 2016 – while addressing the apparent needs and concerns that were evident towards the tail end of the season. Like-for-like, this Dolphins roster has improved based on the players coming in, compared to those going out. Julius Thomas enjoyed the best years of his career in Denver under Adam Gase. In Denver he was a reliable check down target over the middle and a Red Zone mismatch who put his 6 foot 5, 256lbs frame to good use. Thomas has struggled with injuries the past two seasons in Jacksonville and noticeably looked a step slower. If Miami can keep him healthy and scheme for him alongside Parker, Stills, Ajayi and Landry – Tannehill might finally get that check down TE the Dolphins have long been looking for. Miami managed to get Thomas in a trade for Albert, an aging veteran who struggling with injuries. Laremy Tunsil will slide to LT and the Dolphins got a playmaker at TE who agreed to take a pay cut to play for Head Coach Adam Gase. The Dolphins also added another TE, re-signing Anthony Fasano who previously spent 5 seasons with Miami. Fasano signed a 1 year, $2.75m contract. Anthony Fasano was PFF’s No.1 run-blocking TE and No.3 pass blocking TE in 2016. This signing gives Adam Gase another gadget on Offense to use and removes the need to bring in an additional OT on obvious running situations. This pick up will help Jay Ajayi and significantly improve Miami’s rushing attack. 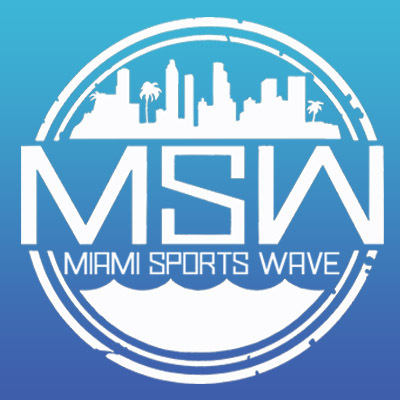 The signing of Ted Larsen should be viewed as a short-term solution rather than a long-term fix for the problems Miami has at Guard. Larsen is a versatile Offensive Linemen who has experience playing Left Guard and Right Guard, while also taking snaps at Center during his career. He is competent in pass protection and run blocking, and brings a veteran presence on a Dolphins line that should look to get younger in the Draft with Larsen and Jermon Bushrod as stop gap solutions. The signing of ILB, Lawrence Timmons and the bargain pick up of DE, William Hayes should address this need. Timmons is a thumper and a great blitzer from the Inside Linebacker position. He is a force in the run game and should easily have over 100 tackles in 2017 playing behind Wake, Suh, Phillips, Branch and Hayes. Despite his age (will be 31 entering the season), Timmons is exactly what the Dolphins need in the short-term to fix their Defense and although he is a liability in coverage – at $12m over 2 years with $11m guaranteed, Timmons is exactly what this Dolphins Defense has needed the past few seafsons. The trade for William Hayes was a steal by Mike Tannenbaum. In return for getting a proven veteran and run stuffing DE, the Miami Dolphins will move down 17 spots from the 6th to the 7th round in 2017. Hayes himself put on social media that he got traded for ‘a stapler and a coffee machine’. The Dolphins inherited Hayes 2 year contract from the Rams, however, Tannenbaum and front office were not finished wheeling and dealing as they sliced the 2nd year off Hayes contract and brought his contract for 2017 down from $5.5m to $4.75m. Hayes was ranked 11th amongst Edge Rushers in Run Defense by PFF in 2016 and 17th overall. The acquisition of Hayes and Timmons beefs up Miami’s run Defense. Finally the Dolphins signed Safety Nate Allen. After the sad news that Miami was releasing Safety Isa Abdul-Quddus, the Dolphins wasted little time in signing former Raiders and Eagles Safety Nate Allen to pair next to Reshad Jones. Allen was available on a cheap 1 year, $3.4m deal as he missed all but 5 games in 2015 for the Raiders due to injury and backed up rookie Karl Joseph in 2016. In his limited appearance towards the end of 2016, filling in for the injured Joseph, Allen impressed with 2 interceptions and 3 passes defended in just 4 starts. The Dolphins are hoping they can find a diamond in the rough in Allen, much like they did with Abdul-Quddus who played well in 2016 for Miami. The Dolphins have done a great job so far addressing clear needs on this roster while retaining quality, productive starters. What is different this year to most is that Dolphins players appear to have left money on the table to remain in Miami. Players appear to be buying into Head Coach Adam Gase’s message – an important step for this franchise. 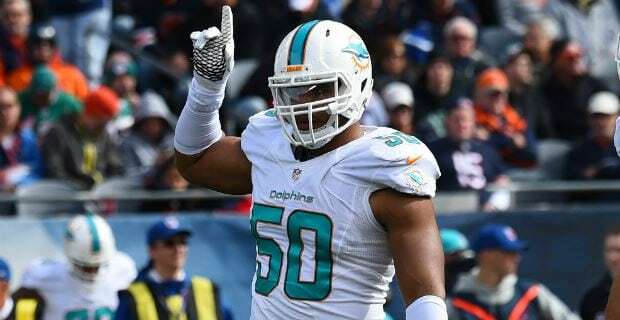 The Dolphins have not paid the moon for any one player so far and have left themselves with plenty of room to still be active as they look to continue to improve this promising roster. #TheNewMiami? Not quite yet… but we are getting there. #FinsUp!